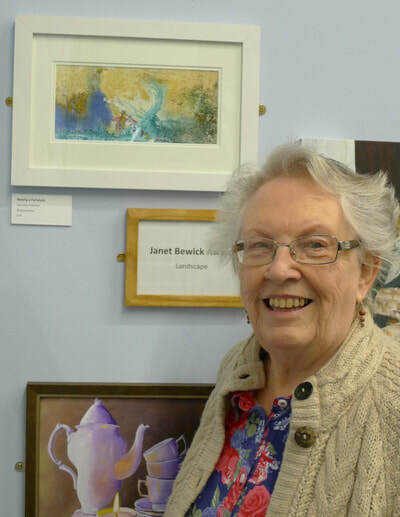 Salford Art Club’s annual exhibition took on different format in 2018. 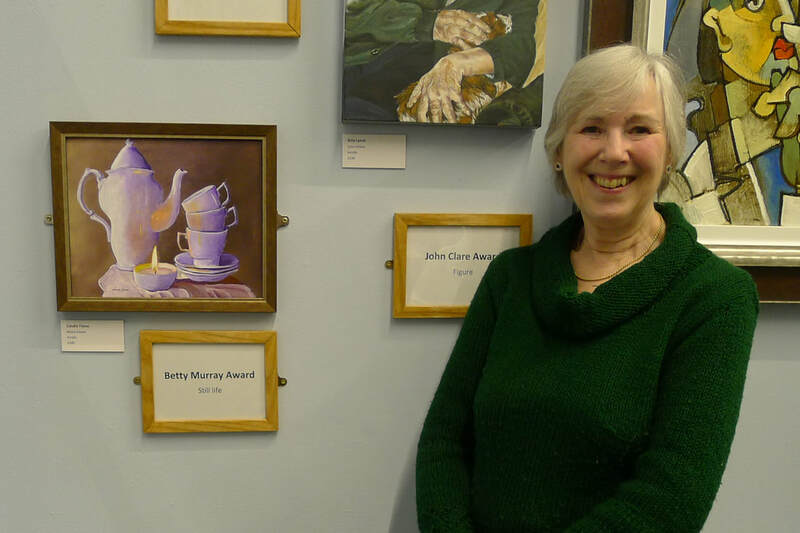 It was hung in the Blue Staircase Community Gallery which meant that there was only space for 65 paintings. The size of paintings was also restricted to 30cms by 42cms, a size which suited only 29 0f the 42 members. The third change was the fact that the exhibition lasts a full 6 months and runs until July 3rd. Any worries on the part of the clubs exhibition organiser Carol Parkes proved unfounded. There was a good turnout for the opening event, as there always is because the exhibition, now in its 70th year is a high point in Salford’s cultural calendar. It is because of the strong reputation of the club that there is never any difficulty in getting dignitaries to attend the opening ceremony. This year Sarah Spence, Director of Libraries & Culture for Salford Council, officially opened the exhibition. 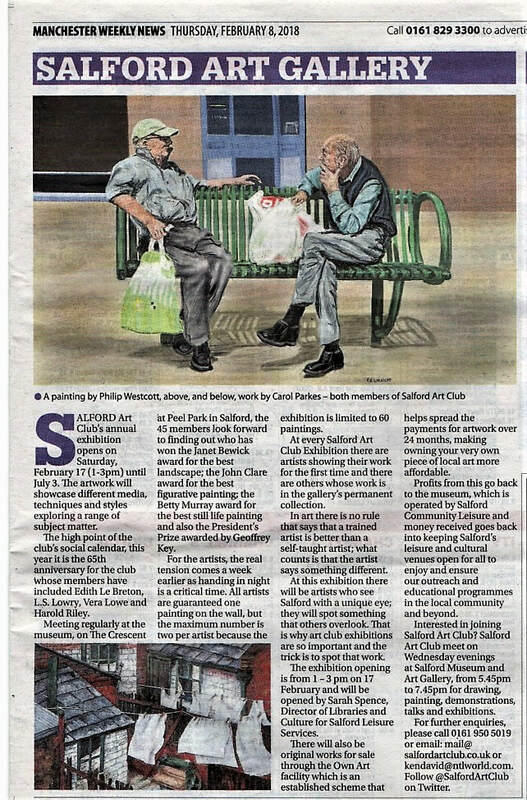 She underlined the importance of creative participation by Salford residents, in depicting Salford’s urban environment in Salford’s own Art Gallery. 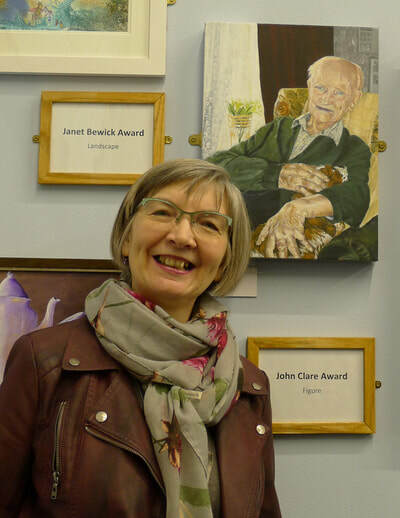 Lynn Kirkley; who’s painting “Billy Lynch” won the John Clare award for the best work containing the figure as a subject. Moira Glover; who’s painting “Candle flame” won the Betty Murray award for the best still life painting. The club was also able to make a modest donation to the “Friends of Salford Gallary” to assist in purchasing paintings for the permanent collection. The point was not lost on one past curator who came along. He knew that past and present members had indeed work of their own in that collection and that the president of the club -Geoffrey Key, always shows one of his recent works in the annual exhibition.